Welcome to one of the best times of the year to be a sports fan. It’s NCAA Tournament time and the glass-is-half-full side of us tells us that anyone, even Yale, can win the national championship with a little bit of luck and some divine intervention. 1). Use a Dixon-Ticonderoga No. 2 pencil to fill them out. The last thing you want to do is use a pen and then freak out when you discover you’ve made a mistake or have changed your mind about a choice. 2). Think way outside the box. Unlike the women’s tournament, which usually plays out according to rote, the men’s tournament annually provides us with a George Mason or Loyola. And if you find one of those you will emerge on national championship day as the Rich Uncle Pennybags of your place of employment. We understand something always happens to the Cavaliers to derail their championship hopes. Last year, they became the first No. 1 seed to lose to a No. 16 seed when UMBC beat them by 20. How unbelievable was that? No. 16 seeds had lost 135 straight times against No. 1s and Virginia was coming off the ACC Tournament championship. This season, they lost in the semifinals of the ACC Tournament and thereby cost themselves a shot at the first overall seed. They caught a bit of a break by being assigned to the South Region, unless you think Kansas State or Oklahoma is to be feared. And no team will have a bigger chip on its shoulder than the Cavs. The Cavaliers don’t have the flair many other tournaments teams do. But it’s not hard to imagine Kyle Guy, Ty Jerome or De’Andre Hunter playing in the NBA someday. They don’t fly up and down the floor. But they’ve managed quite well, haven’t they? The Blue Devils are rolling at the right time. 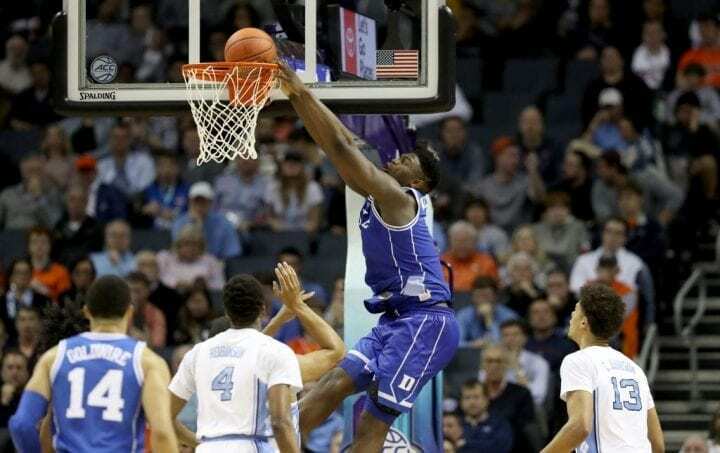 They won the ACC Tournament in grand fashion, beating North Carolina and Florida State in the semifinals and finals on the strength of its man-child, freshman Zion Williamson, who is the best player in the tournament and has made 76 percent of his two-point shots. When Williamson was out with the sprained knee caused by his sneaker malfunction, the Blue Devils lost three of six. In fact, only Gonzaga and Syracuse beat Duke when he played at least 30 minutes. But if he can stay healthy for the next three weeks, no doubt his final three weeks as a collegiate athlete, you’ve got to love their chances. Of course, Virginia Tech beat them in February, but Little Lebron missed that game. If Duke has a weakness it’s on the perimeter. This might be one of the worst shooting teams the Blue Devils have ever won with. 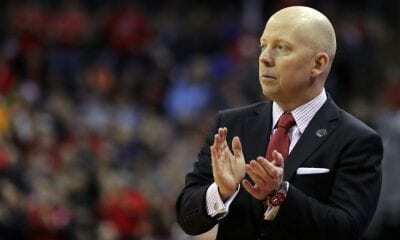 They have only 30.2 percent of there threes and that’s last among ALL of the teams in the tournament. 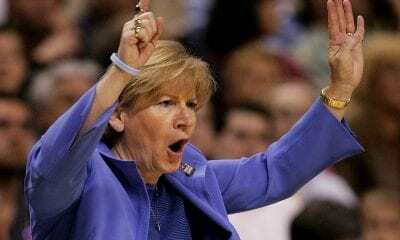 Had the Tar Heels won the ACC Tournament, its entirely conceivable they would have been the No. 1 overall seed, a privilege that went instead to Duke. But remember, their loss to the Blue Devils last week was only by one point, they had a chance to win on the final possession and were only four-of-26 from three. Still, how does one reconcile that North Carolina had a lot of trouble against both Duke and Virginia in the regular season? Good question when you have players like Coby White and Cameron Johnson, Nassir Little and Luke Maye. The problem with the candidacy of the Tar Heels is the depth of the Midwest Region. Utah State is very underrated, maybe the best passing team in the tournament. And there’s Kentucky. And Auburn. And Kansas. Admit it, you didn’t see that loss to St. Mary’s coming in the WCC Conference championship game, especially after the way the Zags manhandled it during the regular season. But things happen in men’s basketball. Upsets burst onto the scene. Still, it would be foolish to discount Gonzaga’s ability to at least make it to the Final Four. The West Region isn’t that deep, although Florida State had a terrific ACC Tournament and beat the Zags in last year’s Sweet 16. We suppose Syracuse might be able to play with Gonzaga, but don’t expect the Orange to live to talk about it. It’s hard to be taken seriously when you argue a No. 2 seed has been shafted by the Tournament selection committee. But in what world does it seem right that the Big Ten champion should be aligned with Duke and get the same love (a two seed) as Michigan, who the Spartans beat three times. If it comes down to Duke-Michigan State, it’s worth noting Spartans coach Tom Izzo has beaten Coach K only once in 12 tries. This is why their fans were pulling out their hair on Sunday night when the bracket was revealed. The loss of Kyle Ahrens (ankle) in the Big Ten championship game might hurt the Spartans, but it didn’t prevent them from taking down Michigan again on Sunday. 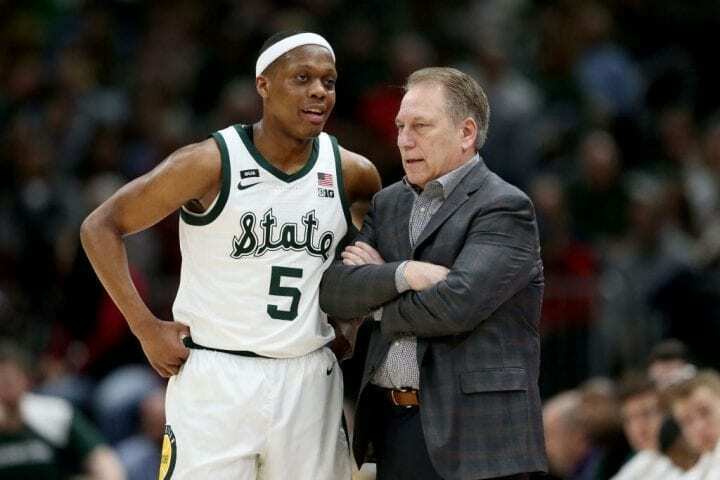 Cassius Winston is not to be ignored. Still, there are other injuries to contend with and you just never know when the bravado will subside. Whether they deserve it or not, this program always should be considered a threat to win a national championship because John Calipari is usually capable of figuring things out when he needs to. Still, they are in the Midwest with North Carolina and all those other great teams. If you think back to November, you’ll recall they lost by 34 to Duke. And remember what we said about trying to find a contender hiding under the covers? Don’t discount Utah State. Like Duke, the Wildcats have mastered the art of recruiting the one-and-done kids from Maine to California. And they another bunch of staunch youngsters – Tyler Herro, PJ Washington and Keldon Johnson. Despite documented problems beating Michigan State, we suppose the Wolverines could get hot over the next month and run off four or five wins. Let’s not forget what the accomplished last season when they made it to the National Championship game. They have a freshman with the best name in America – Ignas (Iggy) Brazdeikis and nice complimentary studs in Jordan Poole and Charles Matthews. When the discussion arises about how the best coaches in college basketball are, it’s rare when someone mentions John Beilein. But his teams are always in contention and if not for Izzo and the Spartans might be more lauded. The Vols were No. 1 in the nation for a very long time, they beat Louisville, Gonzaga and Kentucky (twice). but the SEC finally caught up to them. Still, this is a veteran team. The top six players in their rotation are upperclassmen and Rick Barnes is an upperclassman coach. 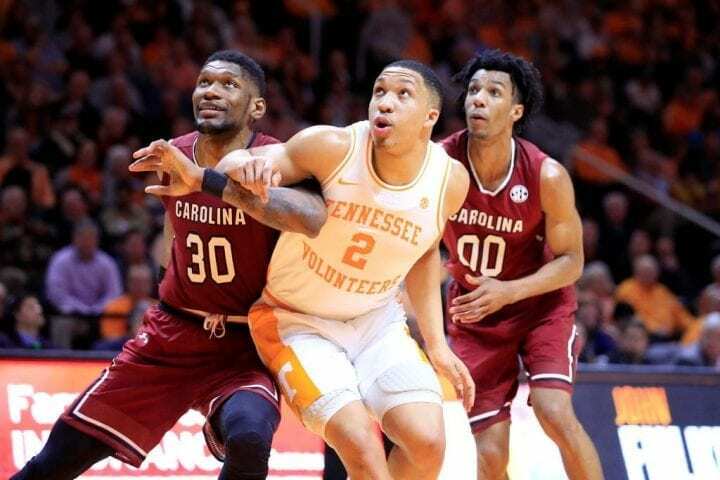 If not for Williamson, people would be saying Grant Williams was the best player it the conference. They did work back from the eight-point deficit in the final three minutes to beat Kentucky in the SEC Tournament semifinals. And they have an Admiral (Schofield) leading the charge. 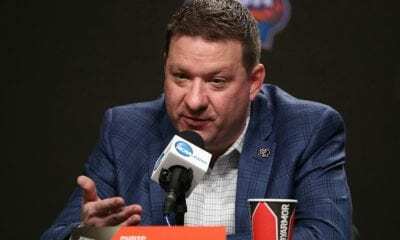 If you believe the true character of this team was exposed during its quarterfinal loss to West Virginia in the Big 12 Tournament, then you likely aren’t going to waste your breath waiting to it to make a run in the tournament. But don’t the Red Raiders get any credit for climbing back after Zhaire Smith shuttled off to the NBA? Any team that plays solid defense is capable of anything and its offense, led by Jarrett Culver, was highly efficient down the stretch in a conference where Kansas and Iowa State made most of the noise. Leonard Hamilton is a very underrated coach and he had the Seminoles chopping their way through the ACC Tournament, culminating in its win over Virginia in the semifinals. Listen, any ACC team has the ability to do some great things in March. They have a very deep bench and a player (Christ Koumadje) who stands at 7-foot-4, which makes then unique, if not an easy sell as a Final Four team. And they’ve won 14 of their last 16 games.